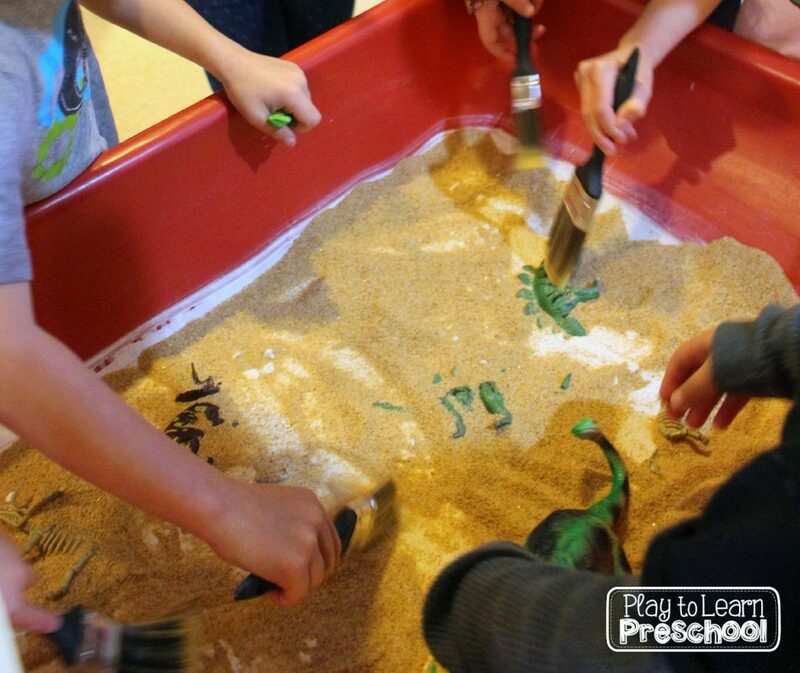 This month at preschool we are learning all about Dinosaurs! A few of our students are dino-fanatics, so we are excited to tap into their interest and curiosity with this unit. 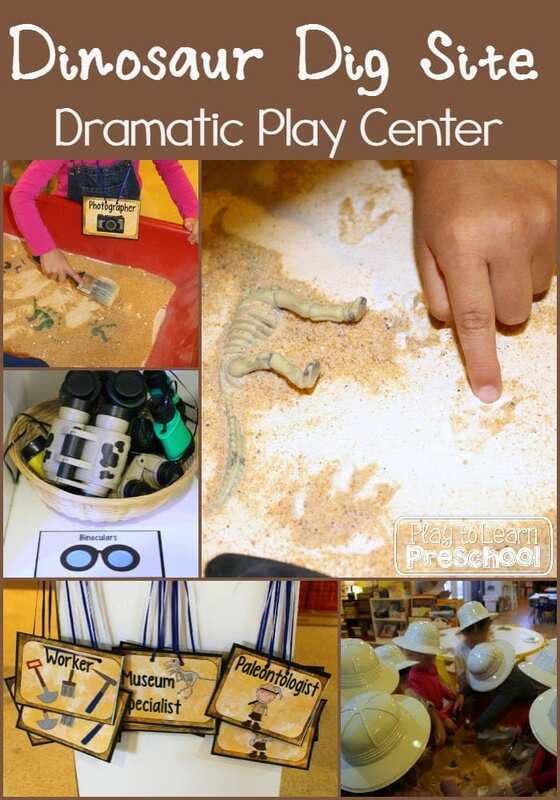 Our Dramatic Play Center is a Dinosaur Dig Site! 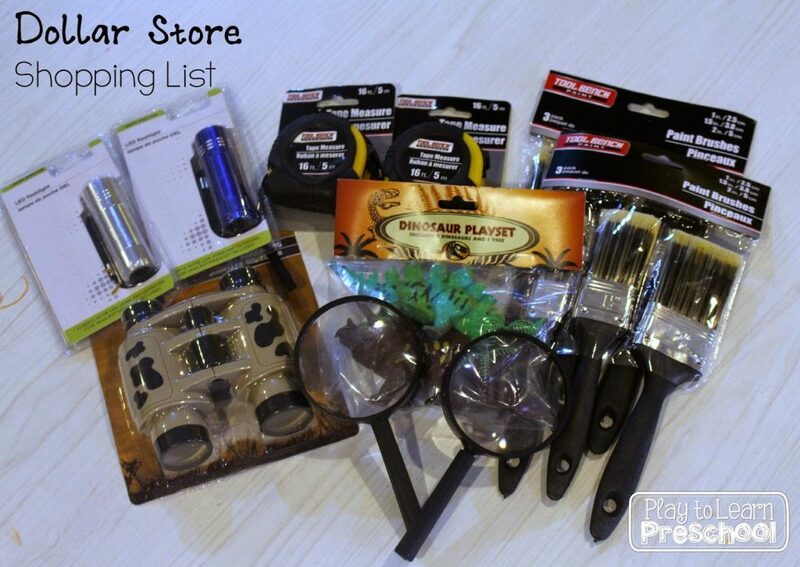 We stocked the center with tons of great finds from the Dollar Store: flashlights, binoculars, plastic dinosaurs, tape measures, magnifying glasses, and paint brushes. The main attraction at the Dig Site is our sensory table. 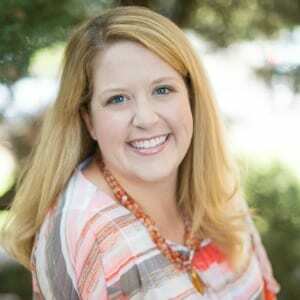 There was a bit of teacher preparation involved before the students arrived. We filled the table with plaster of paris (the crafting variety). Before it was fully dry, we stuck cheap plastic dinosaurs and skeletons (all from the party favor aisle at the Dollar Store). We also made big dinosaur footprints all through the plaster. 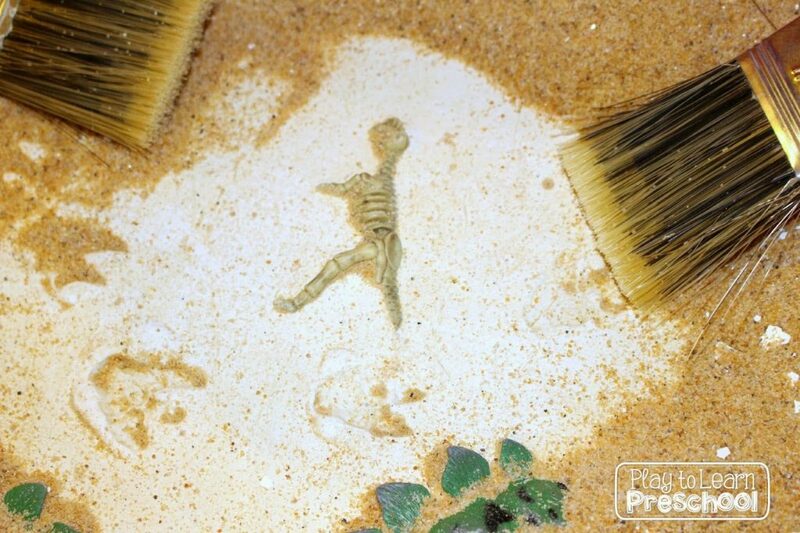 When the base was completely dry, we covered it with a light layer of sand. 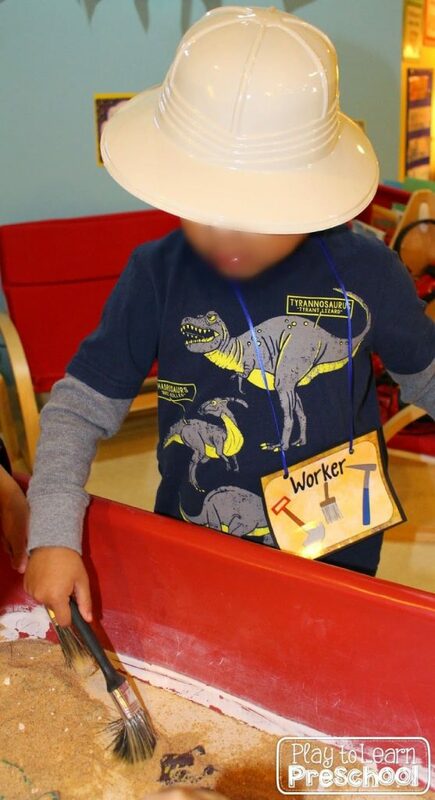 At the center, our little paleontologists and workers use their tools to discover the dinosaur fossils. They love this center! We read Digging Up Dinosaurs by Aliki during story time and learned that it takes a team of people to find and remove fossils. Our students use these name tags to decide which job they are going to do at the site. 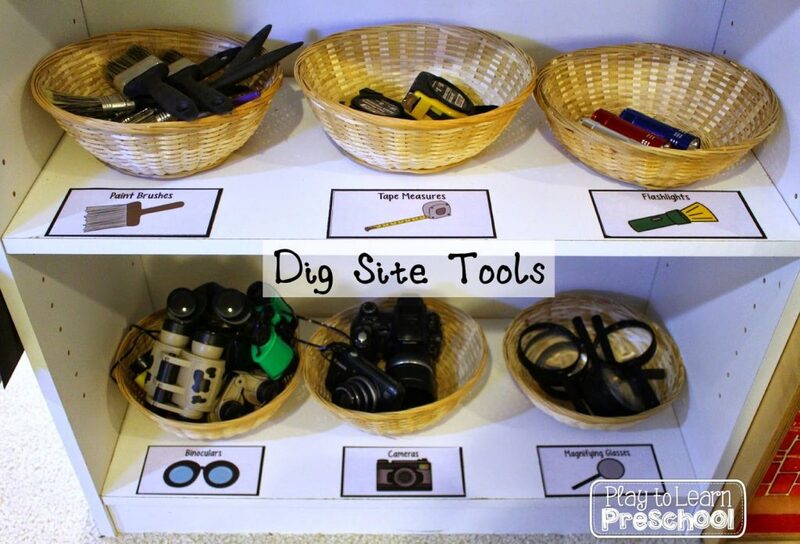 All of our paleontology tools are stored in labeled baskets near the dig site. We also scored these “safari” hats at the party store. 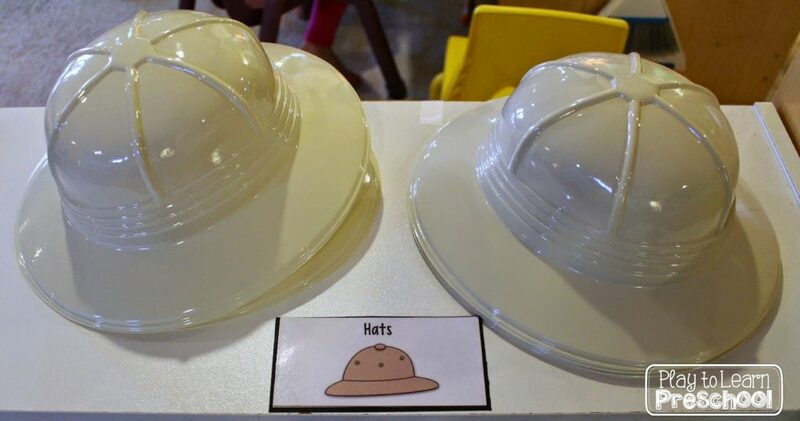 They are perfect for little paleontologists who are working outside in the hot sun. 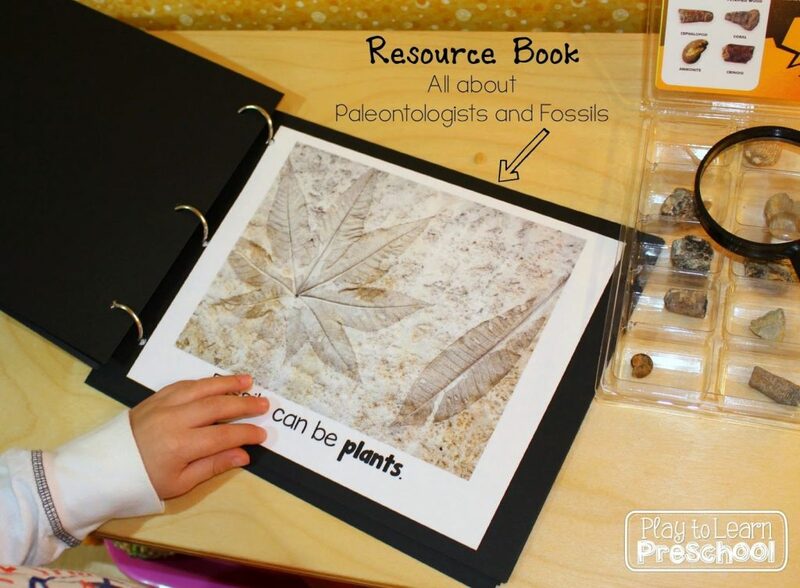 At the nearby science center, students can examine real fossils and read more about paleontologists in the resource book that we made together. 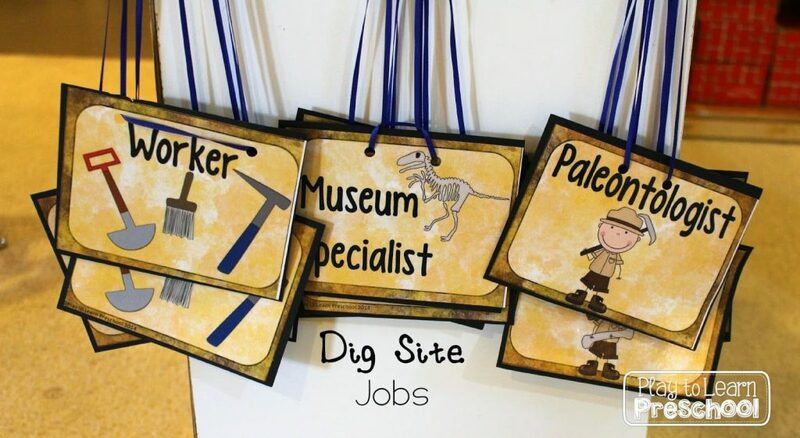 All of these Dino Dig labels, nametags, full color resource book, and field journals are included in this Dramatic Play Center pack. Enjoy! 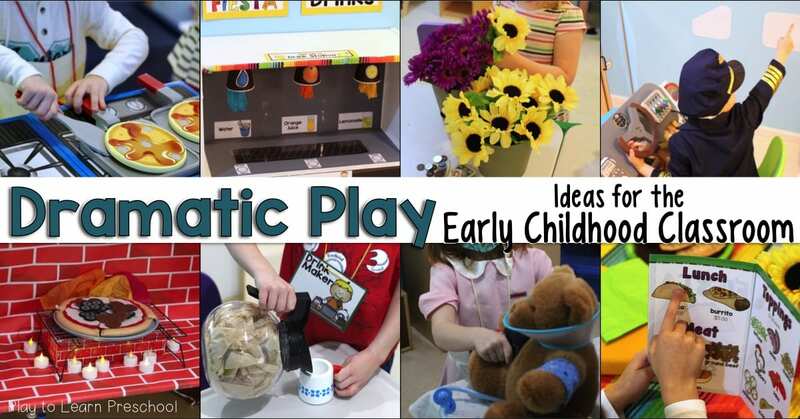 Follow Play to Learn Preschool’s board Play to Learn Preschool Blog on Pinterest. This looks like so much fun! I love all the details you included – and the fact that the supplies came from the dollar store! lol! So does the plaster of paris remove easily from your sensory tub? Yes, it just pops right out. We wipe away the little bit of dust, but there’s no residue at all. Enjoy!